Show your favorite Nintendo character with this soft touch, secure-grip sleeve. Lightweight, form-fitting case easily stores the Nintendo DS or Nintendo DSi for on-the-go gamers. The bonus pocket with the protective Velcro closure also stores small accessories. Available in Mario, Peach, Yoshi. Officially licensed by Nintendo. 100% Authentic POWER A product. 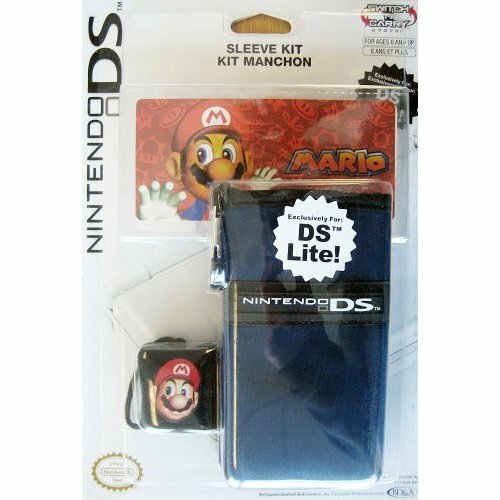 Nintendo DSi and Nintendo DS Lite game systems, games and accessories sold separately. If you have any questions about this product by PowerA, contact us by completing and submitting the form below. If you are looking for a specif part number, please include it with your message.